Each year, the Carmel High School Alumni Association honors two very special alumnus at the annual banquet in June. One is acknowledged posthumously. One is awarded in person. 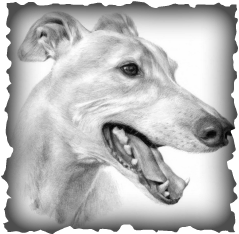 2013 will be the Association's 17th year for honoring these great greyhounds. Nominees must be Carmel High School graduates and have selflessly given of their time and themselves to the Carmel community or Carmel schools. The honoree will be selected by the Executive Board of the Association. It is strongly preferred that the living honoree be in attendance at the banquet. Do you know someone that you would like to nominate? Someone who has given back to Carmel in a selfless way? Someone who has enriched the community or school beyond that which is required? Nominations are accepted throughout the year with a deadline to review of one month before the banquet. To submit a Carmel High School alumnus -- living or deceased -- for nomination into the Hall of Fame, you may do so by writing a letter that includes their name, graduating year, accomplishments and contributions to the local community and/or school system, the reason you feel they should be recognized and their contact information (if the living nominee). Please include your own information so that we might contact you with any questions we might have.